What an interesting week it's been! 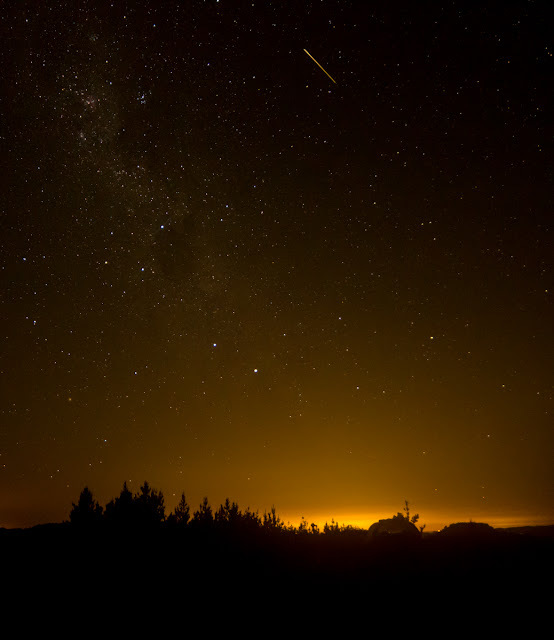 New Lenses, Tips and tricks from the pros, new design work, a meteor shower par excellence and general all-around starryness. Oh and I even updated the blog, quite substantially. While processing the shots, I thought I would be cheeky and drop Fraser Gunn an unsolicited email in Tekapo ... essentially asking (begging) him if he needed an assistant .. and much to my surprise he replied, unfortunately he didn't need one, but he spent the next 3 days giving me some coaching online. What an AWESOME guy! He shared tips for focussing, shooting, iso, conditions most importantly, helped me with my processing. So, moving on from that, Fraser helped me work through a shot of Crux I had taken on the night, showing me the methods he uses to process his shots, I have done a comparison image of what I tried by myself, then tried averaging, then started using Lightroom's Chromatic Aberration removal tools to try and correct my focus, then tried an average + stack just for good measure. I will write this up into a tutorial on the weekend for the tips and tricks page, so keep an eye out for that. But on a sadder note, we lost Sir Patrick Moore this week, he has rejoined the universe, we will miss him, but he gave astronomy such a lot. Farewell Sir. A fabulous night up the Dome Valley north of Warkworth, Auckland for the Geminid shower with ValHallen and friends. Plenty of meteors spotted, though given the 600+ shots between myself and ValHallen, this is remarkably the only one caught on film we think. 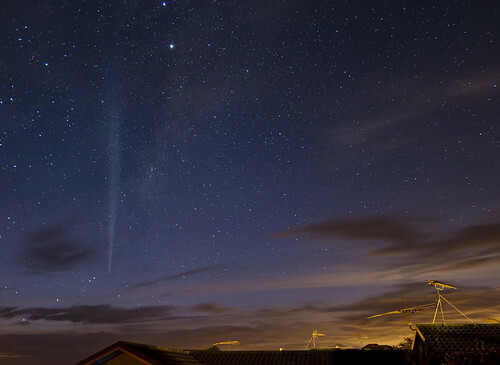 And given it's angle, perhaps not even a Geminid. But let's pretend, shall we? Flikr link below image. Well, the weather smiled on Snells Beach this morning for the best eclipse we're going to see here for a long, long time. Huge sighs of relief from myself and ValHallen, our gear performed just great, resulting in some excellent shots. Montage to come, too much work to do today to put that together! Totally agree with Bill up there - a shaky start, just enough clouds to kill the idea of a timelapse, but a glorious day was forthcoming after that with maximum coverage (about 10:24) shining out clear and bright. The home-made Baader film filters worked a treat, along with Bill's new T2 mount :) So all in all an awesome result! 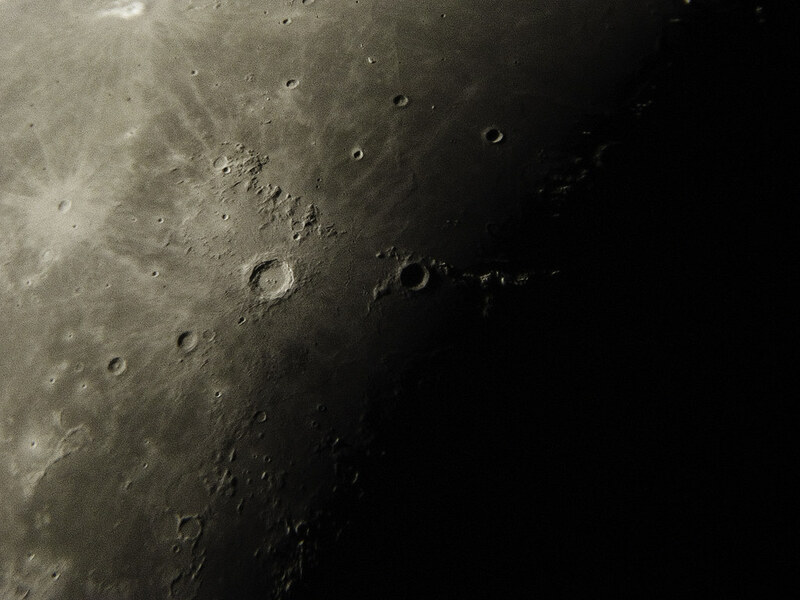 I have post-processed some of the shots, with about 6 up on Flickr so far, this is one of my personal favorites, showing the mountains of the moon outlined against the sun! Since you asked, here's my test from this evening. The shadows are bamboo in the "foreground". This was a test shot this evening through a 60D, using a ND3.8 Baader film filter built on the weekend. T adaptor to shoot through a 25mm eyepiece in my cheap and nasty $100 3" Dob. 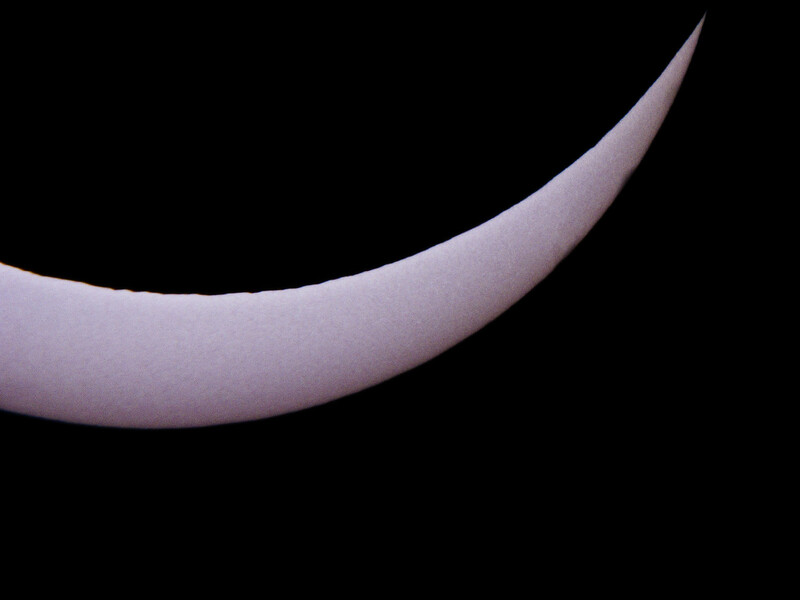 Looking good for the eclipse tomorrow, have also got Canon utility prepped on the laptop to drive said camera tomorrow - the live view feature looks VERY promising, should be able to get great focus if I can keep my scope from wobbling while I fiddle with the focuser! 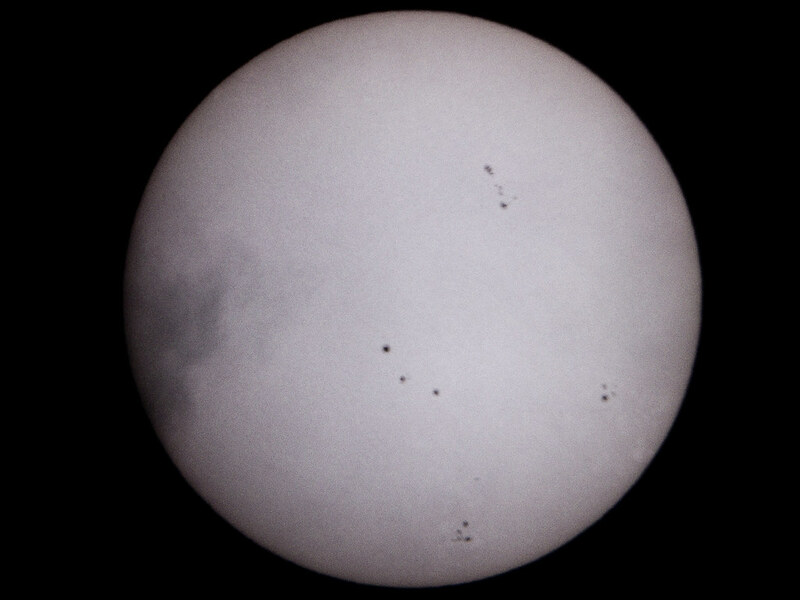 Just done the first camera tests with the new, home made, Baader solar film on the end of the scope ... encouraging!!! The first human to walk on another planet has died at the age of 82. 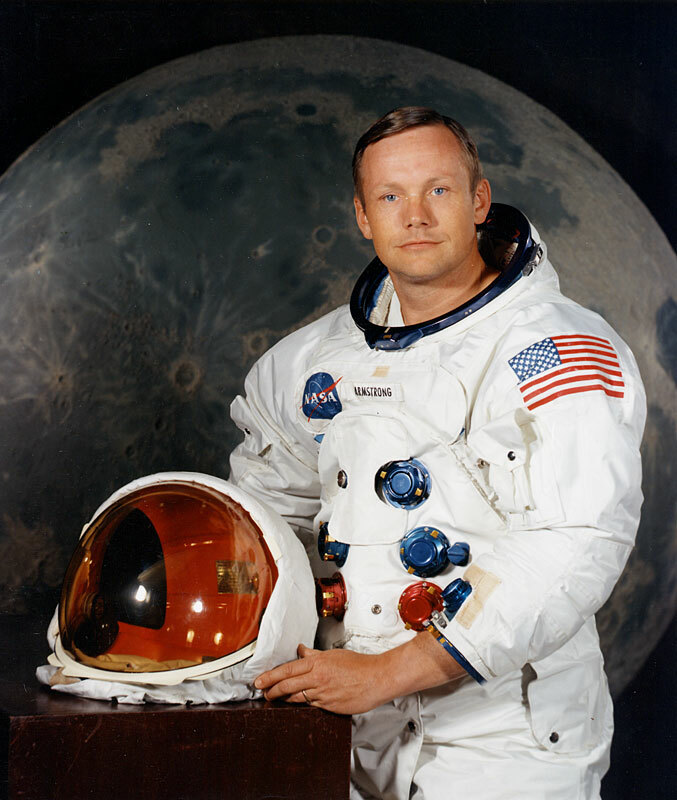 Neil Armstrong's "one small step for a man" defined us as an interplanetary species. Thank you sir, for your courage, your legend and for showing us all that we can dream. Oh Hai! I iz on yr Marz, stealing yr Vistas! Also, the other mars hardware is checking in .. the MRO has grabbed some awesome pics of the rover, heatshield and skycrane ... find those over at Space.com ... here. DOWN SAFE!!! She's down! Data from the surface of Mars!!!!!!!! Just passed Crew Stage separation! Heading for the 7 minutes of Terror!! Go you good thing!!! Curiosity. We have a little under 36 hours to go until touchdown - science willing. 5:31pm tomorrow evening is scheduled touchdown via a Rube-Goldberg-esque procedure, as outlined in the 7 Minutes of Terror. And of course, you can watch the landing live! On NASA TV. 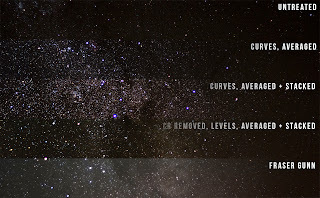 Best Stargazing in the World! Bill ... looking at you dude, wanna go? 1200 is investigaing this Pintrest thing ... well Val is anyways, let see if it works, or increases traffic shall we? May you live in interesting times, goes the Chinese curse. And boy have I been appreciating that curse recently. First there was the break in and loss of the 20D ... I've already told that story here, so you might know of it already. So .. the 60D arrived! We'd had it for four days, then I fell 4 meters off a cliff. Carrying it. I and the camera got a dunking in freezing cold water. The good news is that 48 hours in the hot water cupboard with some dessicant revived the camera. And it seems to be as good as new. What a relief! 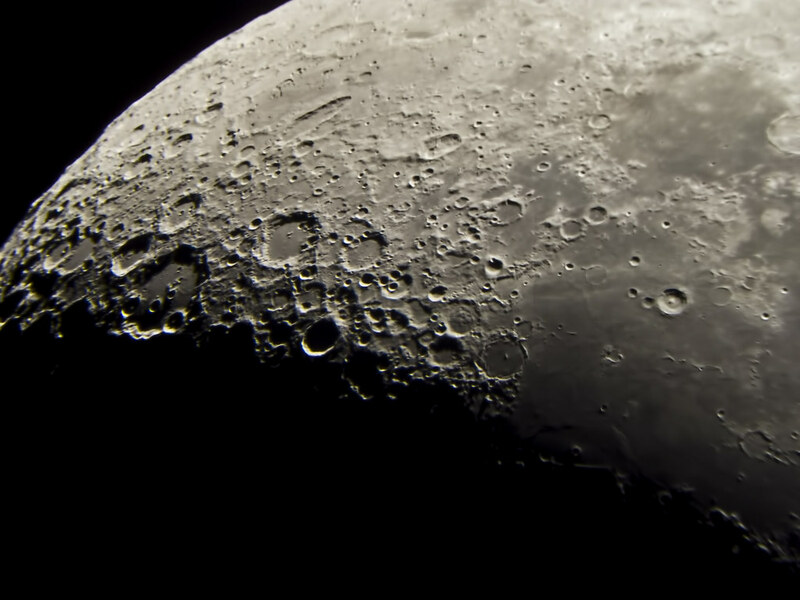 The weather and other environmental factors (scumbag moon) have prohibited me from starting up the star shots since the weekend, but I hope you will follow me on this journey of exploration. Anyways ... on to today. 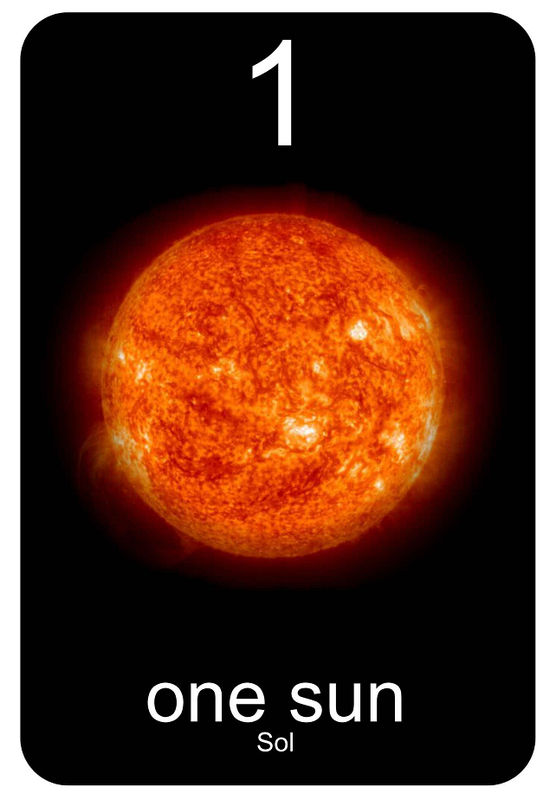 Today being of course, the sixth of the sixth, transit of Venus time! 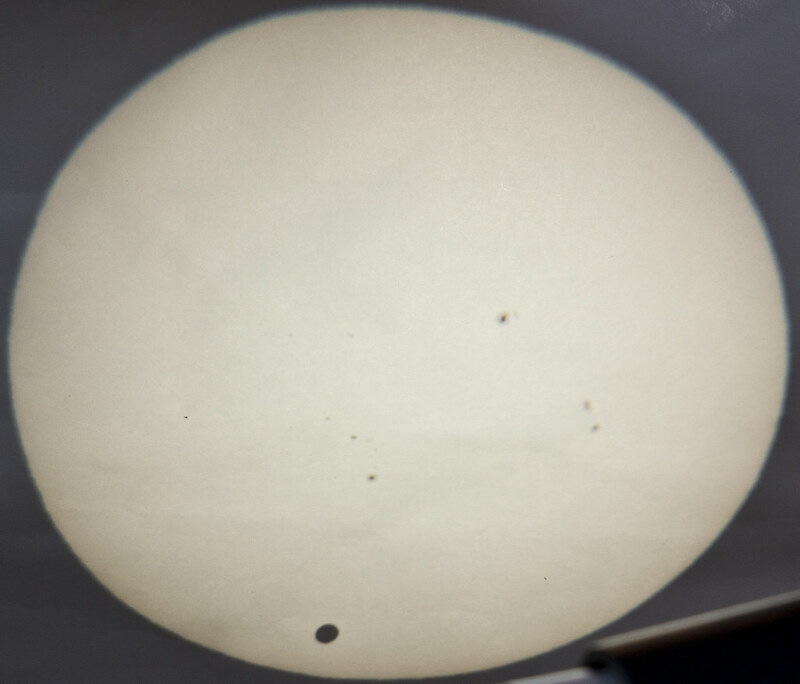 We had clear skies this morning, for a little while, then clouds came rolling in to obscure 1st contact on the transit, with patchy clouds we got a small viewing around 11:30 this morning, we saw Venus halo'd against the star, and then it rained. Hopes were dashed, until around 4pm, the sky cleared right up and we got some beautiful stuff then! 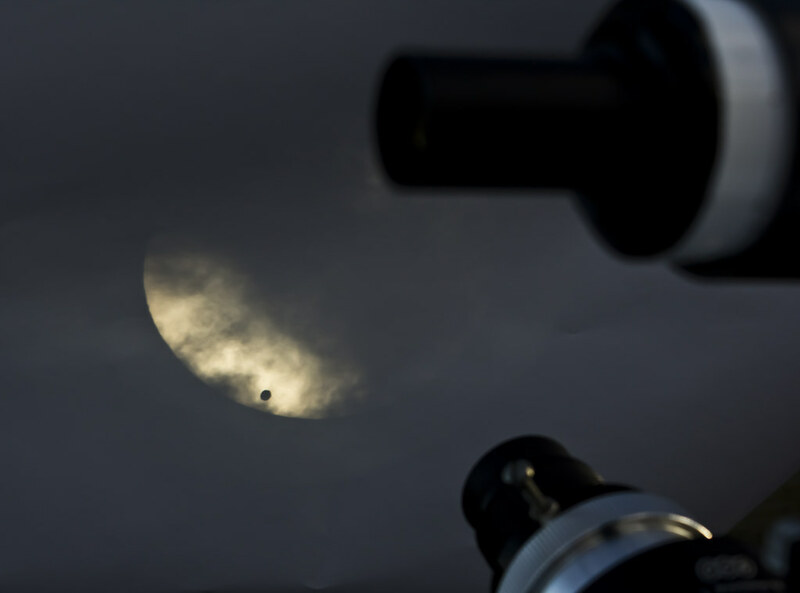 Just as Venus was approaching egress, we finally started seeing some awesome stuff! 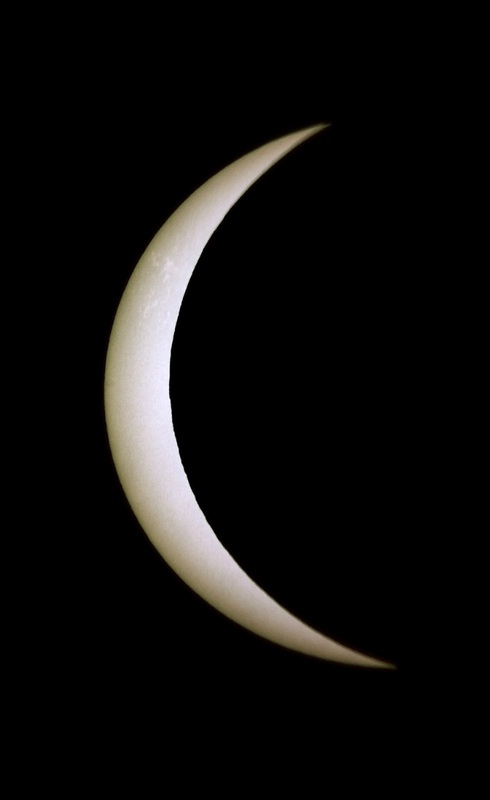 This is shot with the new camera and the awesome solar observing rig we hand built for the occasion. Venus is the dark circle at the bottom and the other blotches that look like dirt on the ccd are actually sunspots :D Added bonus there! 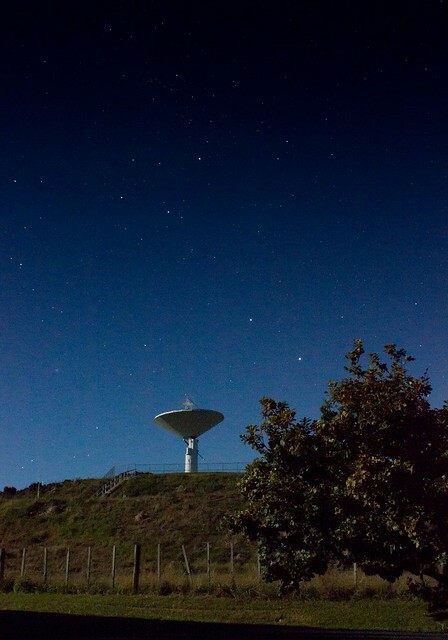 Wow - in a surprise turn, NZ (with Australia and South Africa) have all been awarded the bid to host the Square Kilometer Array of radio telescopes. South Africa had been tipped to take it out, but it was revealed overnight that all three countries will play host. 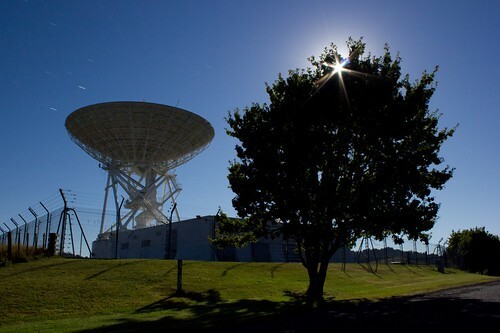 In addition to cool space science "Sergei Gulyaev, head of AUT University's Institute for Radio Astronomy and Space Research, has said one of the tantalising prospects of the radio telescope would be its ability to give a "bird's-eye view" of the tectonic plates deep under New Zealand." YES! Finally!!! Go Go Go! gfkBill adds :More here on Ars. Sounds like it's pretty doable, tow a smallish asteroid into orbit, do science and stuff. I got pissed off last night. I was sitting in my house, only a single lens to my name, and that a 2-inch beast, no mount and no DSLR. So I decided to get back to where we once belonged. 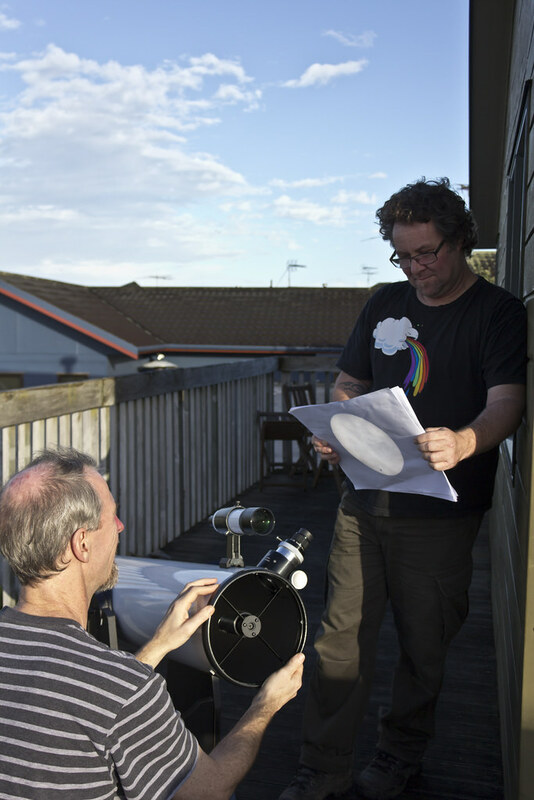 1 hour, 2 razor cuts and some swearing later i had re-created the pill mount, and was getting ready for some observing with Bill's awesome 15mm lens on loan. Batteries were charged, everything was clean and scope was ready to roll. In short, I ended up staying awake until 5am, shooting from the beach. The Dob was beautifully easy to transport, ping the springs off, lift it out into the car, and off we went. The main attraction last night was of course, the moon. So just to make myself feel better ... I did these. Both of us here at 1200mm have kids. Mine are in their mid to late teens now, while Bill's come in a little younger than that. As parents, it's natural and normal to want to pass your passions, knowledge and wisdom on to your children. Unfortunately they stop listening to you at age 11. 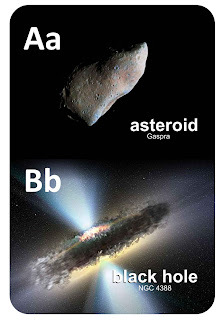 Enter Findlay Books with the solution .. beginner astronomy eBooks for the newest astronomers .. the strategy being "get em interested early and your work is halved!" 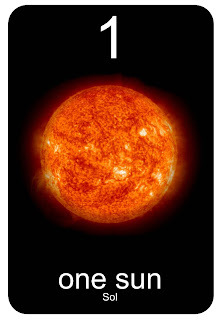 Joy Findlay has written and self-published a series of 6 eBooks, all dealing with the things that little astronomers need to learn, shapes, colours, numbers and letters and things of that ilk. The "Rocket Boy, my First Reader" series are wonderfully presented books, utilising some of the most awesome astro-stock images to teach these beginning concepts to the smallest star gazers of them all. The colours are bright and cheerful, the pictures are fascinating and eye catching, if you're looking for something to get your daughters and sons into space, this is an awesome start! The series doesn't attempt to make the people reading the books feel stupid either, after looking through 1200's promotional copies I had to go look up 2 of the nebulae used for myself! I personally really enjoyed this series, and it would be something I would heartily recommend to anyone with young kids. Last Year, all in one place! 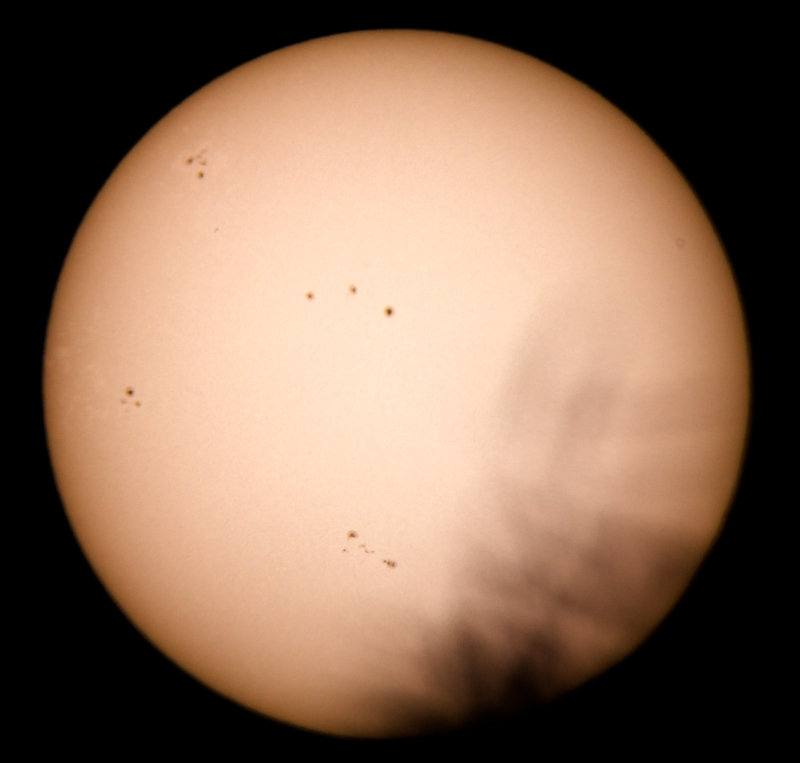 In the mean time, I gathered my favorite astro shots from 2011 into a Flickr set, they have mostly been on here before, as it's a set about the blog shots, but if you wanted to go have a peek at how my shots were looking last year, feel free! Now I just have to get Bill to do the same, although his Flickr was a barren, featureless wasteland with tumbleweeds rolling across it until recently, it now has some VERY nice stuff up there, go look! Later that night, I grabbed the 350D and the tracker and headed outside for some practical tests, to see if they backed up my earlier conclusions. A full moon made setup easier, rare that I'm grateful for its presence when astro-shooting! After a few test shots to check focus (oh Live View, let me count the ways I do miss thee) I fired off seven 2-second shots of Sirius, each approx 10 seconds apart, to give me a full cycle of the motor. A quick zoomed-in review showed some disappointing drift. It was too late to get them into Photoshop, more detailed analysis was going to have to wait. I need to come up with a test setup that doesn't require the stars to be out! Looks like they're gone for the next few days. Perhaps a laser attached to the rig, and projected onto a distant wall? Video it climbing the wall and see if it's climbing evenly. That might be a bit slow-motion to be practical or accurate. Worth a rack though, as it sounds like fun. Surprisingly, and in voilation of the weather forecast, skies are clear over North Auckland on Easter Eve (is that a thing?) Which reminded me that the epoxy on my tracker cog-and-nut assembly must be set. Time to test! Before reassembing the barn door, I decided a bit more scientific testing was in order. First I threaded the cog onto a bolt and attached it to my hand drill. Revving it up, I could get a feel for how much wobble there was as it revolved - was the nut centered on the cog now? Looked pretty good! It became clear there was a reasonable amount of play in it at right angles to rotation axis, but that wasn't too concerning as the wobble was parallel to the bolt, once assembled the other componants would mitigate this. I was about to head outside, when a thought from earlier in the week resurfaced. Why not video the mechanism turning, and do some metrics on the resulting video to see how smoothly the thing was running? Maybe the motor itself wasn't that stable for eg? This would give me a fairly accurate sense of things without needing to touch the SLR. My cell-phone camera was drafted in, 30fps providing plenty of "resolution" time-wise. Below is the resulting graph, generated by stepping through with quicktime and recording in a spreadsheet the elapsed frames as each tooth of the cog passed a set point. All in all, a pretty good result! 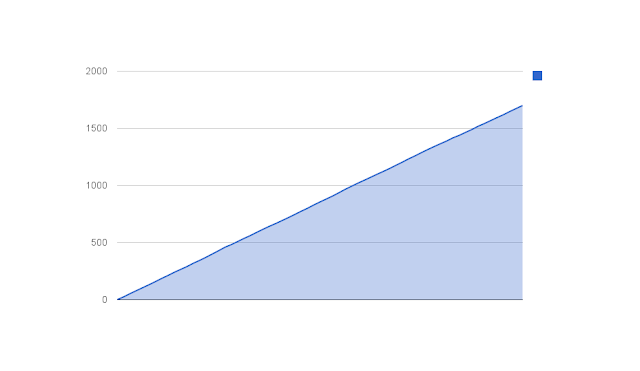 The graph looks nice and linear, within the margin of error of the fairly fuzzy video I was working with. Cogs across the bottom axis, frames up the y-axis. Time for some star tests! Well here we are in April already. I apologise for my lack of activity of late, lots of things happening around my life at the moment, including injuries, physiotherapy and notably, a burglary. Which, it has to be said, sucked. They got my telescope lenses and our camera. Dear Canon NZ, any chance of a free 5D? Mk II will do, I'm not greedy! In other news, the Hike to the Stars event we all planned and spent money on camping gear to organise was totally cancelled due to the worsening weather, so we're thinking October/November now, or possibly a smaller expedition will happen later, anyone whose interested should watch this space! Anyways, on to the skies this month, as that's supposed to be the purpose of this post. Mercury makes a good looking morning sky appearance this month, rising due east 2 hours before the sun in the middle of April, in the beginning of the month, it's "only" 95,000,000km from us! Oh and the blog got it's 10,000th page view this week! YAY! Anyways ... keep looking up guys! On the last night of my recent barn door testing, knowing the limitations of the barn door as it stood I knew I had a pretty good tracker. As long as I stuck to short exposures, the stars weren't going to move a whole lot - time for some stacking! 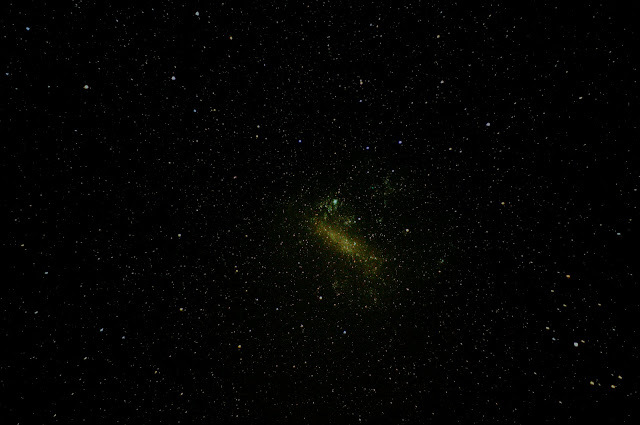 Large Magellanic was catching my eye that week, a long exposure on an earlier test having shown some potential. So I set the camera to 800 ISO, 3.2" continuous shooting, and locked the remote shutter down. I shot several sequences, the best one in terms of focus being 15 frames, including a dark frame. Cruising the intertubes for tips on stacking, DeepSkyStacker kept coming up, so I downloaded it. After downloading the current beta to get around a bug in the release version with large RAW files, we were away. It understands dark frames, and a few other things that I need to dig into, but it was by-and-large easy to use. The Magellanic stack came up pretty good. Kinda noisy, and at some point the "cloud" went yellow, but some great details in there. I think I could get more out of the stack, especially with noise reduction and light pollution reduction, but it's been a good learning exercise. 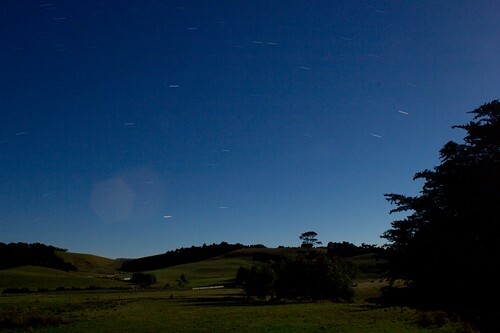 Longer exposures are apparently better, even for stacking, so I can crank that up some when the barn door is purring. Once the stars come out again, I'll be grabbing ValHallen and heading out of town to find some dark skies. I finally had a chance to fine tune the barn door last week. A few days with a borrowed 550D, with it's larger review screen and Live View, meant I could do some decent field testing. First night... and some flawed methodology led me a little astray. I was shooting once a minute, for a few minutes, then checking for drift. There was a small drift, so I did some maths, figured out how far off it was, and adjusted the motor speed. No joy, still getting trails, albeit small ones. I was close, but another session with screwdriver on hand for adjustments on-the-fly and I still couldn't get it right. Ah! Maybe it's not trails, maybe it's wobble - perhaps the motor or mechanism is uneven. Another test run, this time taking a 2s shot every 10 seconds for a minute. A minute is one cycle on the mechanism. Zoom way in on review, step through the shots, and I could see what was up - the stars would creep ahead, then drop back again. The motor or mechanism wasn't turning at a constant speed. I already knew I hadn't mounted the drive nut onto the main cog quite dead centre (it slipped in the clamp), so today I ripped it off again, and remounted. Fingers crossed that was the issue, the off-centre nut was putting pressure on the drive. Next time we see some stars, I'll get out and see how we're doing! Mostly overcast in Auckland tonight in theory, but if you're further south and skies are clear, get outside and see if you spot yourself some aurora. A large sunspot on the sun has kicked out the biggest coronal ejection in the last 5 years, which should see some very strong auroral action over the next couple of nights. The moon, of course, is full, which will dull things somewhat. Astrology adverts on Astronomy websites. A good month coming up! First off, 1200mm has a public Google calendar now, for events (like the hike on 24 March) and general stargazing goodness (Mars in opposition tonight!). 4 March: Mars in opposition. 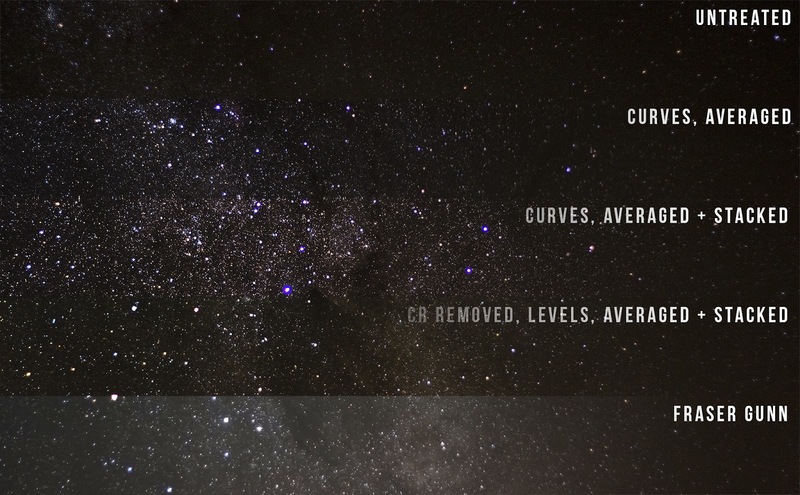 24 March: 1200mm Hike to the Stars - if you;d like to come to this, please contact us. 26 March: Crescent Moon close to Jupiter and Venus. For us Rodney/Snells Types, lots of LMC and SMC this month, as well as the usual cuplrits of Orion, Crux et Al. Looking forward to some good moon and mars viewing! The recent Centaurids shower was a good excuse to head out to the nearby Satellite Station for a meteor party. Unfortunately the meteors were a bust due to a full moon and light shower this year, though 4 or 5 were seen - though not by me, sadly. On the upside, ValHallen and I had managed to sweet talk a couple of the lovely ladies at work into loaning us their cameras, so I was equipped with a shiny new 550D (AKA Rebel T2i - thanks Rach!) and Val a 60D (chur Steph!). ValHallen and I were instantly in love - with the cameras, I hasten to add. Anticipation was fairly high in the same way that Sirius is fairly bright. After a few minutes finding my way around the control layout of the 550D, I came across Live View. I've been living in the wrong decade apparently. After wasting 20 or 30 minutes quite regularly trying to focus on our old SLRs through the viewfinder, the zoomed Live View of the newer Canons was just an amazing joy. Getting pin-sharp focus was a breeze. I did find the LCD screen tended to light when I really didn't want it to, but that was no doubt due to inexperience with the camera, I'm sure it's not hard to turn the LCD off properly. That aside, I loved the 550D so much I didn't even bother trying the 60D - can't take too much excitement in one night at my age. The blog now has it's own Google+ account, as part of the general upgrading and dealing with even more accounts to update! So, what to look forward to this month? Straight up early in the month, the moon is full on the 8th, which unfortunately coincides with the peak night of the Centaurids meteor shower. 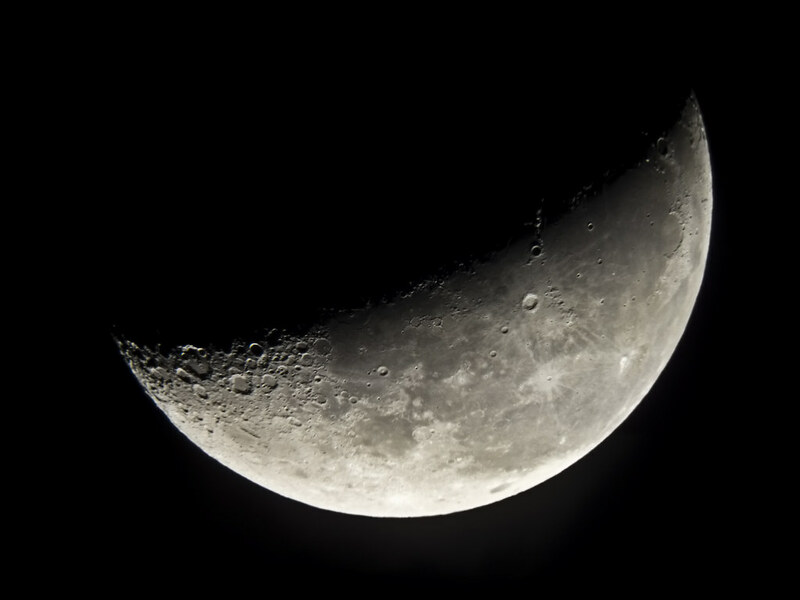 The moon then proceeds to last quarter on the 15th and is new again on the 22nd. Early in the month, Both Jupiter and Venus will be visible in the west, during the early part of the evening. With Saturn and Mars rising later in the evenings, towards midnight. These planets will continue their dance around the skies this month. The Seven Sisters (Pleiades/Matariki) is also hanging around and is stunning even through a small pair of binoculars. The 1200mm crew is planning our first star party of 2012 on February 8 to attempt to pierce the full moon's glare and see some Centaurids from the meteor shower. And finally, there's another small meteor shower (Gamma Normids) starting up on the 25th of February, that will peak in March. 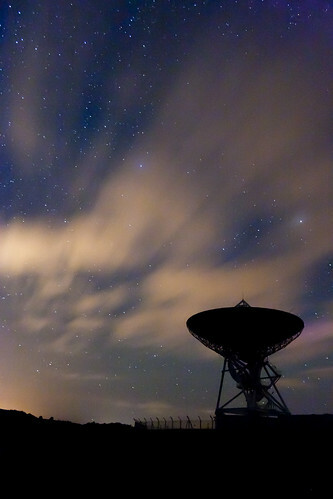 Clouds and Skies, a photo by Astronomr on Flickr. Well last night rolled around, and after a very nice time just quietly stargazing with Jacqui, I charged up the gear and headed out to the Satellite Station road with The Hulses. The more feminine part of the two had just taken delivery of a new Canon 5d mkII and wanted to give it a good hard testing, so I was only too happy to show them one of my favorite spots for Star shots. Ok, so looking to organise a little something for the Centaurids this year! Isaac Asimov, a photo by perreault on Flickr. Today marks the 100th anniversary of Capt. Robert Falcon Scott reaching the south pole. 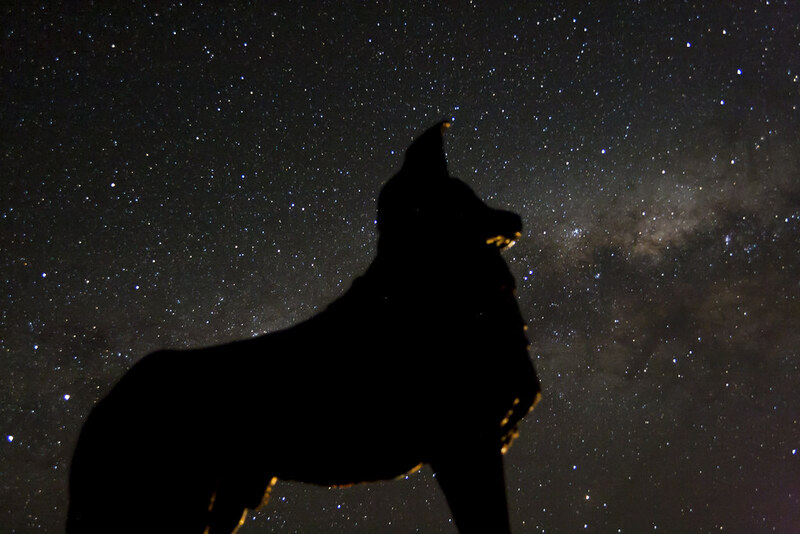 Imagine the stars and aurora australis he would have seen from there, on those cold, clear nights. Capt. Scott was one of my heros growing up, and although this post isn't about stars or anything, I just wanted to salute the man's achievement. On their return journey, Scott and his four comrades all perished from a combination of exhaustion, starvation and extreme cold. Pop over to Retronaut for the goodness. Is as awesome as pirate monkeys! Went out for a timelapse last night as it was clear(ish), lens promptly fogged up - my fault for not following my own procedures ... give that man a cone. Will see what i can salvage and post.